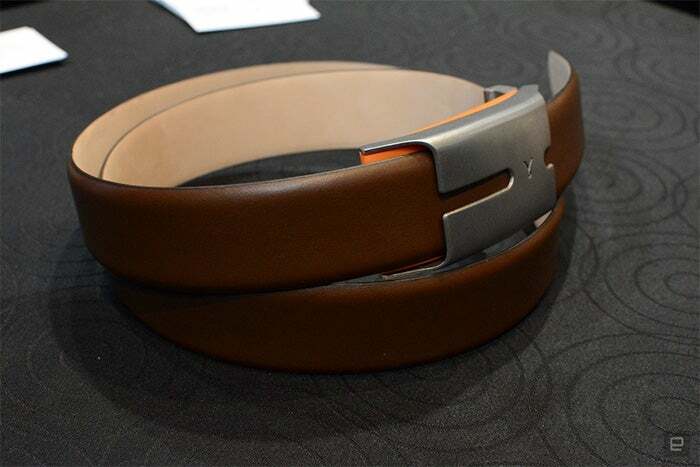 One of many odd things to come out of CES 2015 was Belty: a self-adjusting belt that would literally cut you some slack if you enjoyed your dinner a little too much. As mentioned last week, following the exposure at CES, the company behind it, Emotia, decided a redesign was in order. 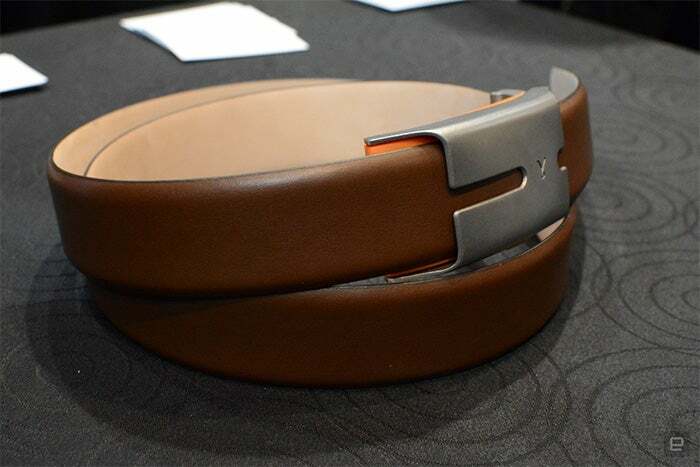 After the heavy, thick (but coolly industrial-looking) prototype, the new "Good Vibes" (or GV) model is slimmer, lighter and looks, well, more like a dress belt you'd actually see on sale in a clothes store. And it's not just a pretty (leathery) face. 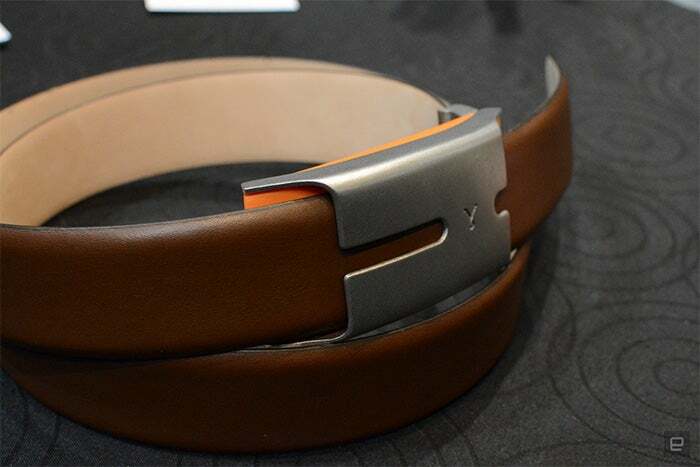 The adjusting band is still here in, but the GV now has vibration functionality, meaning it can nag you while you're sat at your desk all day, and even pester about water intake if it thinks you're not hydrated enough. These features can be calibrated through the companion app, but as Emotia's spokesperson -- regularly -- reiterated, it all works / nags independent of your phone. 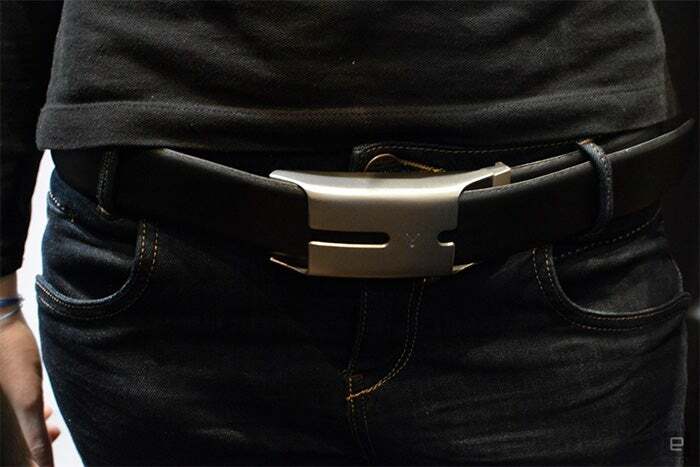 Unfortunately, the prototype demo belt broke down before we got to hitch up our slacks for a test, but it's easy to see how refining the mechanism and swapping some of the build materials to plastic have helped lighten the smart buckle, and that it offers more than a lazier way of keeping your jeans up. 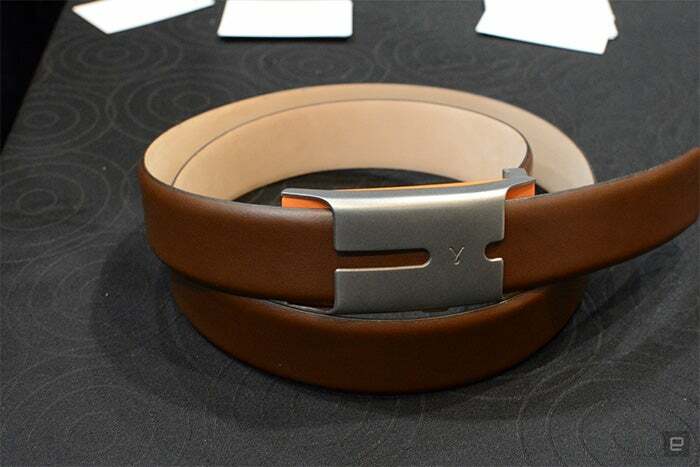 The belts themselves are hand-stitched leather, with the design company partnering with L'Aiglon to offer both black and brown options. 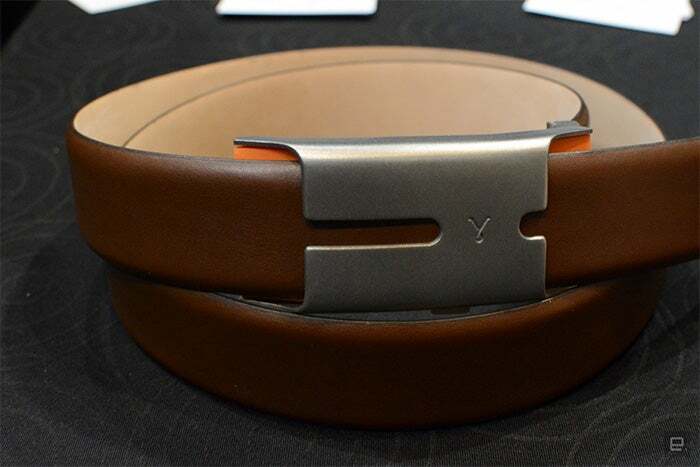 Proper leather and a smart buckle means it will go on preorder priced at $395 next year. The company still expects to launch in December 2016 in time for the holidays. Because belts are a holiday gift.